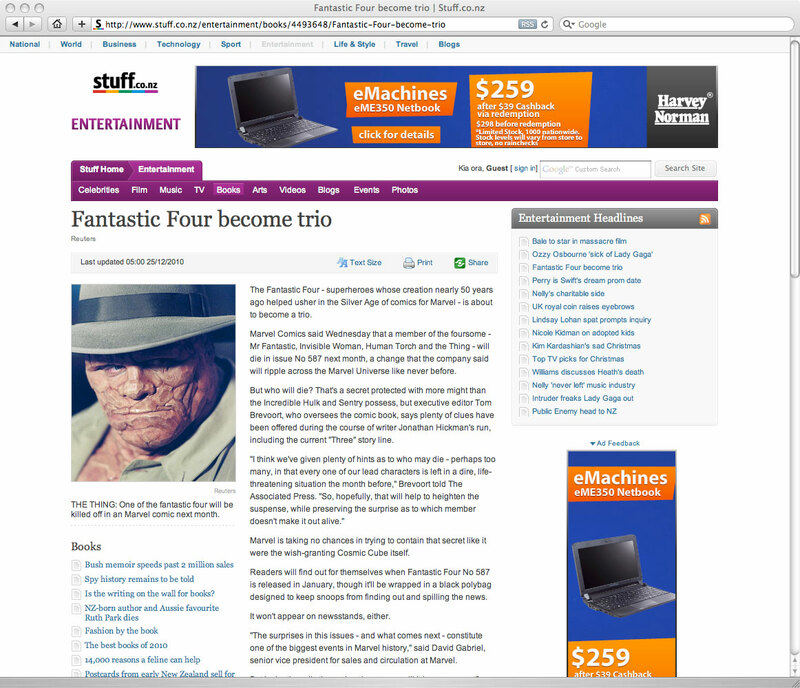 Thought this was kind of cool - the upcoming death of one of The Fantastic Four, made it to Stuff.co.nz, New Zealand's leading news site. Very rarely does 'comic news' filter in 'down under' save for The Death of Superman and most recently Wonder Woman's new wardrobe. While most of the Marvel top brass are questioned, not much is revealed that comic fans don't already know. For the non-comic-addicted resistance out there on the fringes though, it definitely stirs up enough mystery in Jonathan Hickman's epic saga to make them grab a copy of the black poly-bagged issue and find out whose death in next month's Fantastic Four #587 causes "seismic changes".